Hemmabutikerna wanted to push the new coffee machine Tassimo which would be launched soon. 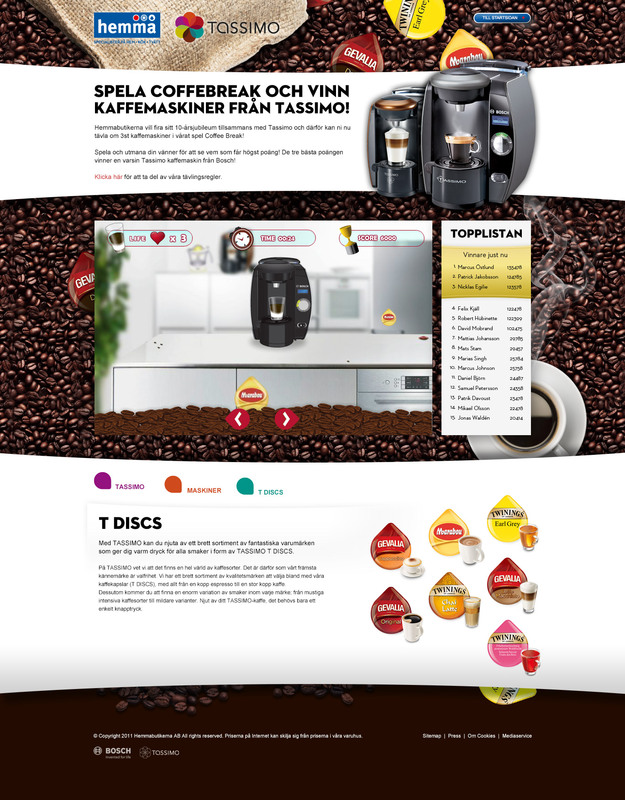 We created a campaign page where we informed about the machine but also made sure to make the page viral through a simple, fun and addictive game where you could win your own Tassimo coffee maker. The game was to move the coffee machine so that it caught the coffee pods, avoiding other things that could not be used in the machine. After time passed the moving objects mooved faster and faster… and in the end it was impossible to catch all the pods… GAME OVER!